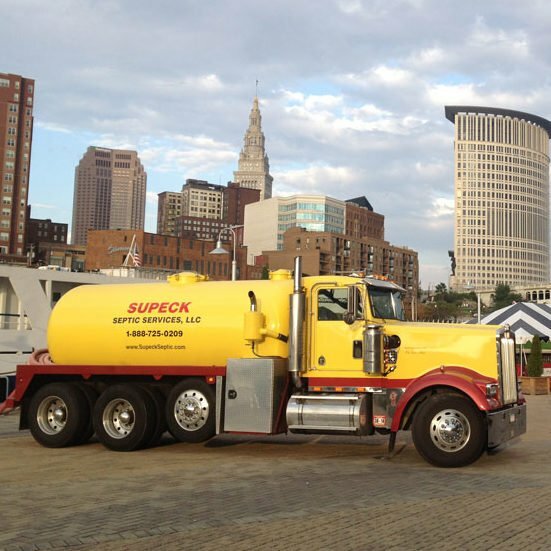 Supeck Septic Services has grown to be the largest septic service provider in Northeast Ohio. We proudly service the entire Cleveland area and provide the outstanding service you expect. No matter what the condition of your septic tank, we are happy to give you an estimate for all of our services - just contact us at (440) 842-5591. We are here to offer you advice to guide you through septic system maintenance and recommend the proper care for it. For maintenance and repairs on septic systems throughout the Cleveland area and all of Cuyahoga County, you can rely on Supeck Septic Services for on-time response and excellent customer support. The team at Supeck Septic Service is available for all of your septic tank emergencies. If you have a sewer backup, failing septic tank, or problems with your aeration system or pump, we're prepared to deliver fast emergency response. Septic system maintenance does not have to be complicated, and it does not have to be expensive. Regular maintenance to your septic system is the best way to prevent costly damage.